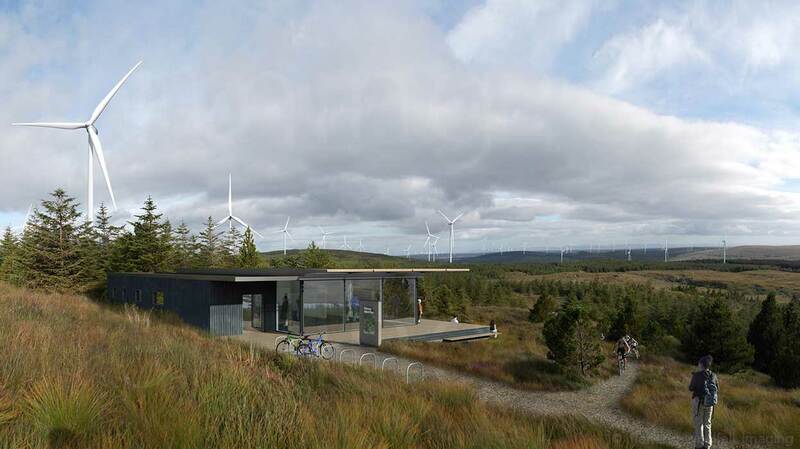 Animation of wind-generated electricity for Whitelee Windfarm Visitor Centre. 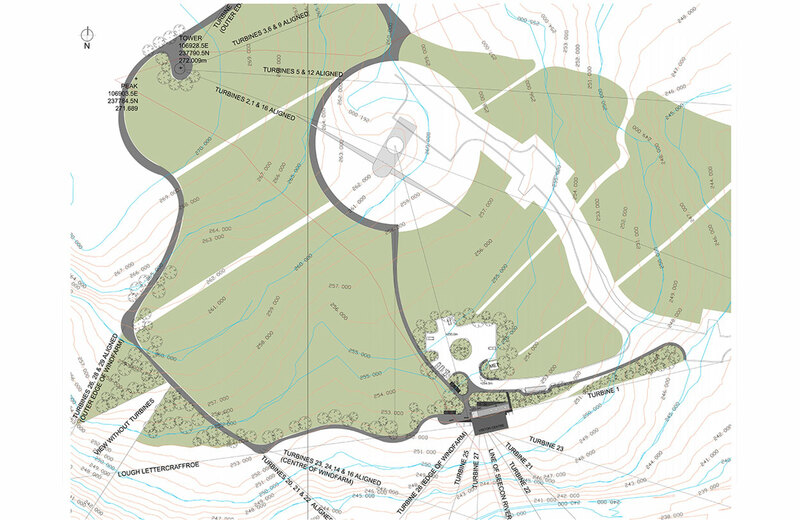 We have dealt with many aspects of wind farm design, both onshore and offshore, from the design of wind park visitor centres, viewing towers and facilities to planning submissions for new wind farms as well as providing exhibition content and corporate and educational presentation material. We can provide verified images of wind turbines in the landscape for visual impact assessments, visitor centre and wind park planning with viewpoint analysis in 3D and animated fly-overs of wind parks in the landscape.